Award demonstrates a strong commitment to employee ownership. 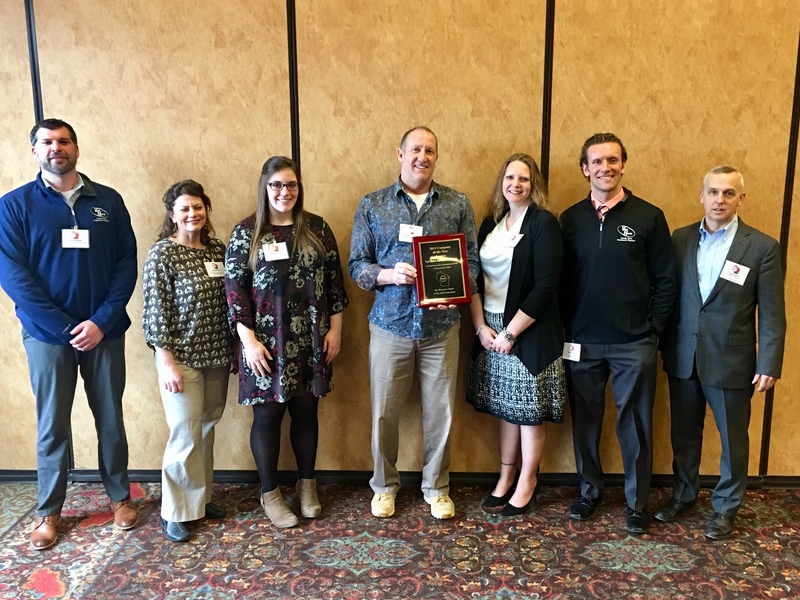 Wisconsin Dells, WI, March 15, 2019 – The Wisconsin Chapter of The ESOP Association recognized Van Horn Automotive Group as 2019 Company of the Year at its Annual Spring Conference in Wisconsin Dells, Wisconsin. The ESOP Company of the Year award is presented to a company that demonstrates a commitment to employee ownership, as exhibited by involvement with the Association and its programs, communication with employees, and commitment to the Association’s vision. Alicia Diekow, ESOP Chapter Administrator expressed, “The selection committee enjoyed reading about the various ways that Van Horn has worked to be recognized as an ESOP company with their ‘I OWN IT’ t-shirts and internal competitions as well as in their communities with a slogan of “Family Born. Employee Owned.” This recognition by the Wisconsin Chapter of the ESOP Association qualifies Van Horn Automotive Group to be considered for the National ESOP Company of the Year, which will be announced May 22, 2019 at the 42nd Annual ESOP Conference in Washington D.C.
Van Horn Automotive Group became the first partially employee-owned car dealership group in Wisconsin in 2015. The group’s 500 full-time employees own 30% of the company as part of the employee stock ownership plan (ESOP). 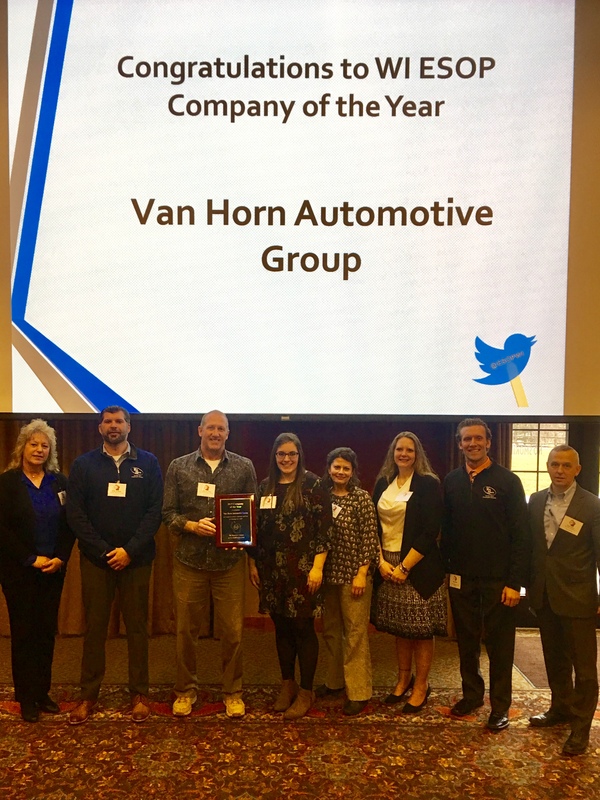 Due to growth and expansion of the Van Horn Automotive Group, full-time employees have increased by over 100 in the last year and turnover rate has decreased by 8%. The ESOP Association is America’s largest employer-sponsored advocacy and education association focused on employee stock ownership plans. For more information on the Association, visit www.esopassociation.org. Van Horn Automotive Group, Inc. is a family born, employee owned automotive group with headquarters in Plymouth, Wisconsin. Founded in 1966 by Joe Van Horn as a single Chevrolet dealership, and purchased by his children: Chuck, Teresa and JP Van Horn, Van Horn Automotive Group has grown to include 18 automotive dealerships, a finance company, a real estate business and several insurance companies. The group employs over 580 people throughout Wisconsin and Iowa. For employment opportunities visit the Careers page at Van Horn Careers. This entry was posted on Monday, March 18th, 2019 at 6:55 pm	and is filed under ESOP. You can follow any responses to this entry through the RSS 2.0 feed. Both comments and pings are currently closed.